Sacramento’s Farm to Fork chefs were featured at a special luncheon on Friday afternoon at The Lodge at Pebble Beach. While PBFW has featured city centric events before, none have had as large a contingent as the Sacramento one. The lunch featured nine of the eleven Sacramento chefs attending. The two others, Ginger Elizabeth Hahn and Brad Cecchi, will be at the Grand Tasting Tent on Saturday. Sacramento stands out from many other food cities due to two specific characteristics. The first is the draw of chefs to a city where they have all the great ingredients but also an affordable place to live and raise families. There are many transplants from more expensive cities such as San Francisco and Seattle. Many hometown chefs will leave for stints at Beard and Michelin rated restaurants throughout the world, only to come back to Sacramento to settle down. Other chefs arrive from far off cities or countries and fall in love with everything Sacramento has to offer and decide to stay. Secondly, the chefs love the friendly collaboration of its food community. In Sacramento there is no competition or animosity. 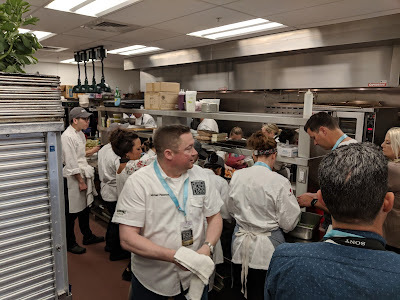 Here the chefs love to work together, help each other out, support the community, and just have a good time. They share their knowledge and grow from their collaborations. That’s why you will see many connections between them in the bios below. Starting off with the only one of the group who is not actually a chef or part of a restaurant, Michael Passmore instead supplies some of the best known restaurants and chefs in California and the country with his farm raised fish and small batch caviar. His giant ponds and tanks near Sacramento contain sturgeon, trout, catfish, bass, and more. Passmore Ranch fish have received a "Best Choice" rating from The Monterey Bay Aquarium's Seafood Watch program. 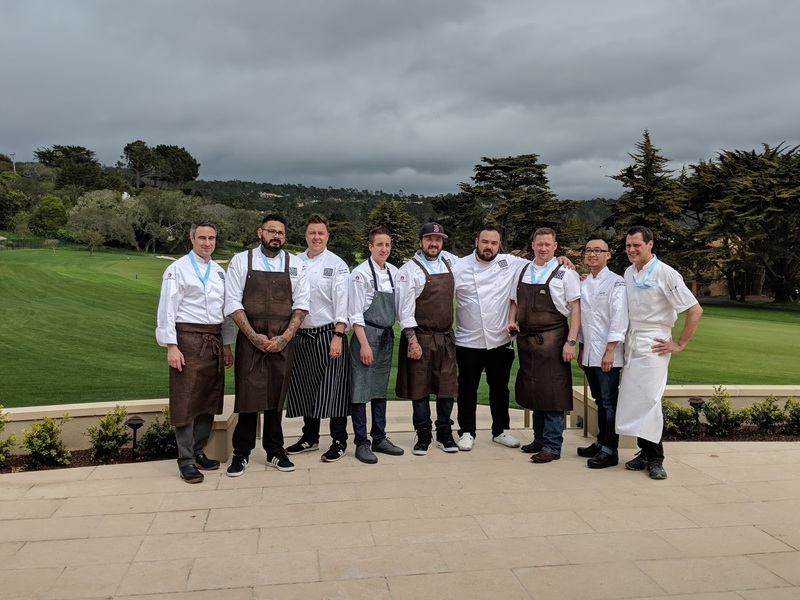 His fish will be featured by chefs at several PBFW events including the Sacramento Farm to Fork lunch as well as by Chef Jeremiah Tower at his Saturday dinner. When the Sacramento chefs have a day off and are craving some sushi, you will usually find them at Bill Ngo’s Kru or grabbing a quick poke bowl from one of his Fish Face Poke Bars. Ngo was born in Hong Kong, but raised in Sacramento, making him one of the local boys who has stayed in the city he loves. At Kru he’s known for having the best omakase with bites featuring seafood from Passmore Ranch, off the coast of California, or as far away as the crystal blue waters off Hokaido, Japan. Kru is one of a select few restaurants to get 4 Stars from the Sacramento Bee. At Fish Face you can enjoy make-your-own poke bowls that are not fluffed up with noodles or rice. Michael Fagnoni - Hawks Restaurant in Granite Bay, CA and Hawks Provisions + Public House in Sacramento, CA. Sacramentans were thrilled when Michael Fagnoni and his wife, Molly Hawks, opened up their second location on the edge of Midtown. For years they had had to drive out to the original Hawks for a stellar fine dining experience - one of the few 4 Star restaurants in the region. At the new Public House they have a more relaxed gastropub atmosphere but still serve food with a focus on local, seasonal ingredients. Fagnoni has worked under renowned chefs in San Francisco and New York City including Rick Moonan at Oceana, Mark Sullivan at The Village Pub, and Traci des Jardins of Jardinière. Edward Martinez considers Sacramento his home and the local chefs his family. After a life in gangs and time in the juvenile system, he managed to find a new life in the pastry world. He started in local restaurants such as the above mentioned Hawks before leaving to work with such famed chefs as Tyler Florence and Michael Mina, and in several restaurants in San Francisco and Las Vegas. In 2016 he won a StarChefs Rising Star award. He left the 2-Michelin Starred Lazy Bear to return to his Sacramento family to open Milk Money, featuring artisan crafted donuts and ice creams. Advanced pop-up previews have included donut creations such as the Ghostface Killah (black-pepper brioche, Strawberry Quik, powdered sugar) and the flaming Green Goblin (brioche, white chocolate, coconut and matcha). Brock MacDonald’s culinary life has been in Sacramento working at the area’s (then) best restaurants, including Masque, Spataro, Tuli Bistro, and Thir13en. Over the years he developed an interest and expertise in butchery and charcuterie, leading to his position as Head Butcher and then Executive Chef at Lowbrau and Block Butcher Bar. Soon he and owner Michael Hargis will be opening Beast & Bounty, featuring dishes for either the carnivore or the vegetarian equally. Expect to also find desserts developed by his best friend, pastry chef Edward Martinez. Over the years Kelly McCown has been showered with plenty of accolades as he worked at restaurants on the west coast. He’s worked as Chef de Cuisine at the James Beard Foundation's Flying Fish and at Michelin starred Martini House, been named a "Rising Star Chef" by Bon Appetit Magazine, and has been featured in pieces by Conde Naste Traveler, the New York Times, and Michelin. McCown opened one of Sacramento’s most popular restaurants, Ella, with the Selland Family before moving on to Goose & Gander in St. Helena. He has since returned to the Sellands to helm their flagship restaurant, The Kitchen. The Kitchen features a dinner show of multiple courses over four hours. It is considered the best value of high priced dining due to being that it is all-you-can-eat hospitality. British native Oliver Ridgeway had moved many times in his life as a chef. Raised in London, he’s worked for famed chef Paul Prudhomme in New Orleans, at the James Beard House in New York, the Sydney and Salt Lake City Olympic Games, and even aboard the Queen Elizabeth II. In Sacramento he found a city where we felt he could settle down and raise a family. He brought his love of farm fresh ingredients and nose-to-tail dining to the Grange Restaurant within the Citizen Hotel. He recently left to branch out on his own with the soon to open Camden Spit & Larder, an homage to his London roots. The name refers to the spit-fired meats that will be featured as well as a “larder” that will be available for event bookings. Sacramento native Dane Blom has been a part of the local scene for many years. After culinary school and a stint at Michelin-starred Terra in Napa, he returned home to work at the original Hawks location in Granite Bay. He then worked several years as Chef de Cuisine with Oliver Ridgeway at Grange before returning to the Hawks family as Chef de Cuisine at Hawks Public House. Upon the news of Ridgeway leaving Grange, he was asked to return as their new Executive Chef. He plans for everything to be made in-house, from the hamburger buns to the charcuterie, while keeping focus on his Sacramento roots. Ramon Perez grew up in the restaurant business, starting at his father’s restaurant, Auberge du Soleil, at the age of 12. It was there that he started learning and creating pastries before heading off to culinary school. He has worked at 3- Star Michelin restaurants; De Librije and Parkheuvel, as well as becoming Executive Pastry Chef for the David Myers Group in Los Angeles and Las Vegas. 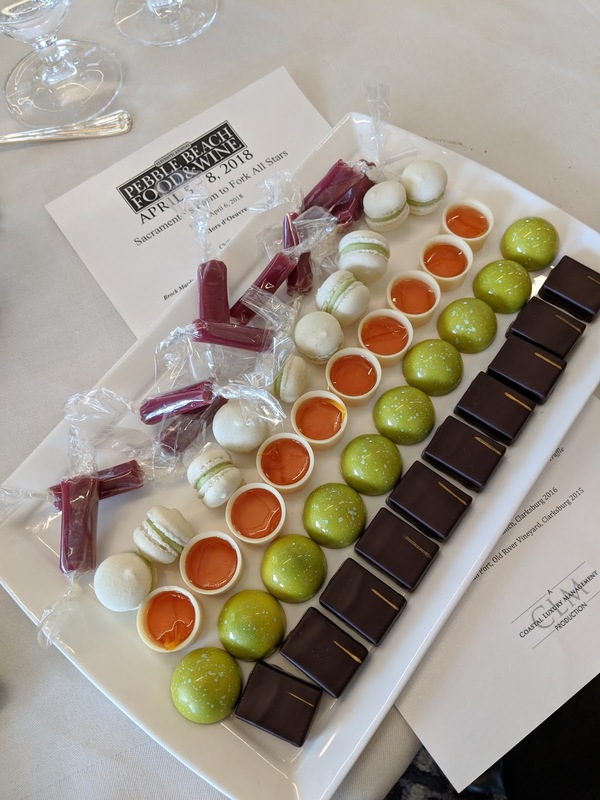 While there, Ramon was a James Beard semifinalist for Outstanding Pastry Chef, and winner of the Star Chefs International Pastry Competition. Missing the Sacramento area and its abundance of farm fresh produce, he returned to start his chocolat line in 2013. He has plans to open up a specialty dessert location in Sacramento in the future. Brad Cecchi has returned to Sacramento after a successful run as Executive Chef at Michelin starred Solbar in Calistoga. Another Sacramento native, Cecchi started as a teen making pizzas at the local Embassy Suites before moving on to some of Sactown’s well known restaurants: Mulvaney’s B&L and Grange. Canon features contemporary California Mediterranean with a mix of Asian flavors and fermented ingredients. She may be listed on the PBFW roster as from San Francisco, but that’s only because Ginger Elizabeth Hahn is promoting the opening of her second store located in the Cow Hollow area. Her Sacramento store was opened in 2006 and has featured her distinctive chocolates, an array of macarons, and signature desserts. In the winter she has special cupcake or custard days, while in the summer she focuses on ice creams and sundaes featuring fresh picked fruit from the region. In 2010, Hahn was named one of the Top Ten Chocolatiers in North America by Dessert Professional Magazine.